We all need a little art therapy! We are constantly made aware of new forms of art therapy providing some psychological, physical or social benefit for a targeted group, an unfortunate patient or a statemented child. In truth, we are all in constant need of treatment. There is a great deal of evidence that art provides therapeutic benefits for every individual and those regularly using public buildings. Carefully chosen, the shapes, colours and atmosphere created by paintings, murals, sculptures or installations have a beneficial effect on hospital patients and staff, school children and communities in general. 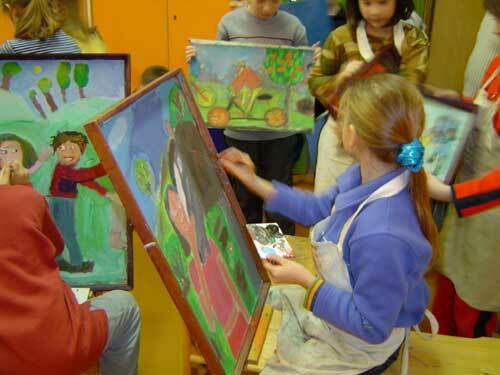 Art provides stimulation and may add, if not create an appropriate feel for an area. Moreover, it provides ‘landmarks’ the communities can associate with. With the present UK Government’s debate over the free schools, the continuing growth of foundation hospitals and a very ambitious overhaul to public buildings and services, the competence of all our professionals delivering public services should not be dismissed. Aside from a skilled workforce, studies show the public’s perception of the quality of school, the cleanliness of our healthcare buildings or simply the appeal of the hotel we’ve decided to stay at on holiday is shaped, to a large degree, by the image and appearance presented. This is not only based on the architectural merits or esthetics of the building but the quality of its interior design of which art plays such an integral part. With so much riding on the outcome of planning and selecting processes, public art cannot afford to be an afterthought. As with the interior and architectural planning processes, a successful art programme/project involves many hours of complicated problem solving. The design process requires planning the equipment, flooring, wall covering, and furniture acquisition. The system requires budgeting from the onset of a construction or renovation of project. The approach in selecting artists or incorporating art should be no different. Just my little banter as I read through various articles on funding for art projects being cut! Art is important now more than ever.